Challenging the notion that a beautiful, custom-made kitchen is a luxury reserved for the few, Danish design company Reform have been hacking IKEA kitchens beyond recognisability since 2014. Under the motto ‘Everyday Classics’, they create stylish and affordable design cabinet fronts and countertops made to easily enhance your IKEA starting point (which is, in case you were wondering, quite a good quality kitchen). A collaborative effort, Reform invites prominent Danish and international designers such as Henning Larsen Architects, Bjarke Ingels Group, and Cecilie Manz to create their own collections, offering both minimal designs and colourful combinations. Today, Reform present ten different collections including their own ‘Basis’ design inspired by the 1960s architect kitchens and still one of the most popular designs. With their newly opened showroom in Denmark’s second-largest city Aarhus, the Reform kitchens can now be experienced live in New York City, Berlin, Copenhagen and Aarhus. The newest location is set inside a spacious old bank building from 1927 featuring beautiful details such as original windows and high ceilings. Located centrally in Aarhus right next to the central station, interested are invited in to get a feel of the kitchen designs as well as a chat with a Reform representative who can show you around and tell about the designs and possibilities of enhancing your IKEA kitchen. 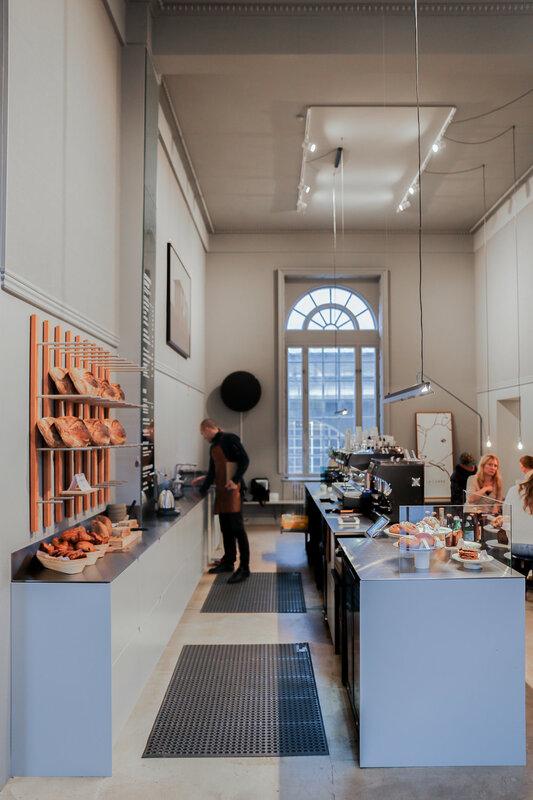 At the one side of the large room, local coffee brewers La Cabra Coffee serve home-baked goods and a perfectly brewed cup of quality coffee in the café. Enjoy a classic Danish pastry, or perhaps pick up a loaf of sour dough bread to take home with you whilst browsing through the selection of stylish kitchen designs. In case you are nowhere near a showroom, Reform are happy to send you samples of the different designs and answer any questions you might have.